If you happen to see the film adaptation of Kevin Kwan’s bestselling novel ‘Crazy Rich Asians’ then you’ll probably agree that the lifestyle of the movie character is really extravagant. The expectations were high for the wedding scene, touted as a $40 million and being called “the wedding of the year”. The scene took place inside an ancient chapel with a miniature botanical garden and exudes sophistication with it’s an earthy and lush theme. 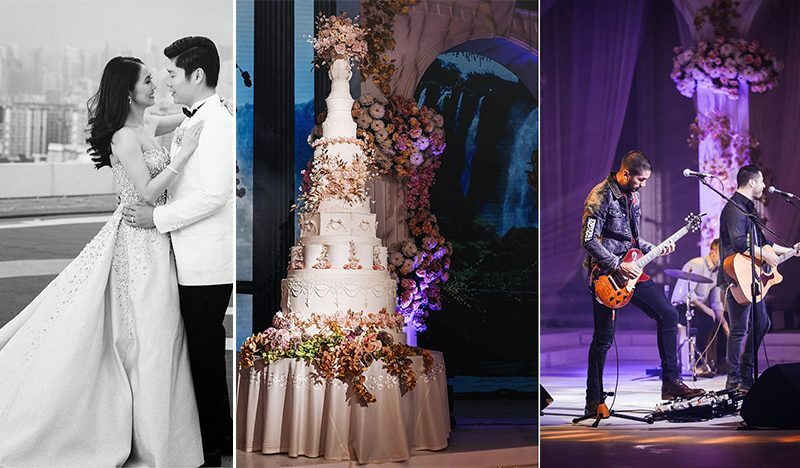 Many people say that a wedding like this only happens in the movies and fairy tales. However, a real-life couple from the Philippines had proven them wrong. 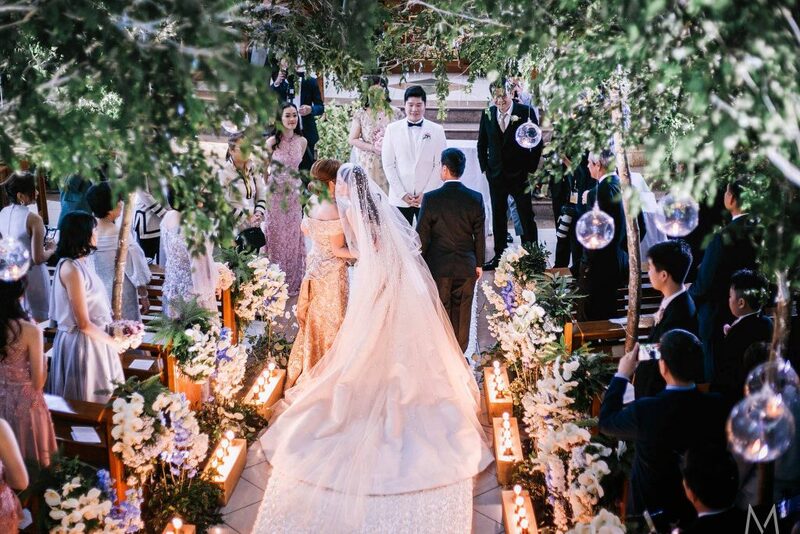 The wedding of recording artist and beauty queen, Shirly Vy, and businessman Kevin Wong have the same vibe of the movie Crazy Rich Asian‘s luxurious, indoor garden wedding. According to a report, Shirley is the President and Chief Executive Officer of Foodeology, Inc., which is the Philippine franchise holder of the South Korean dessert cafe called Kiss Tiramisu. While Kevin is the general manager of Oriental Group, an online and land-based gaming operator licensed by the Philippine Amusement and Gaming Corporation (PAGCOR). 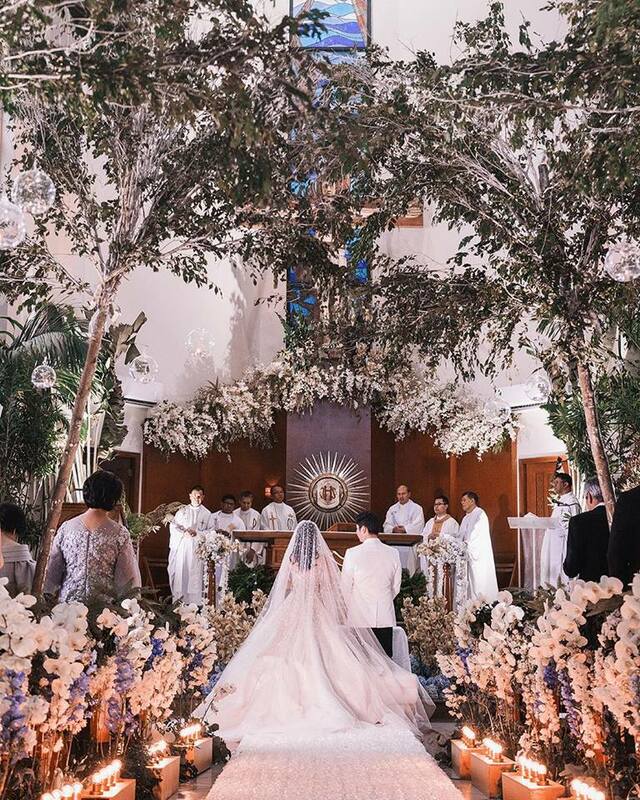 The ‘Crazy Rich Filipino’ wedding was held at the National Shrine of Saint Jude Thaddeus, in San Miguel, Manila, with wall-to-wall fresh flowers. The photos of their grand wedding will surely remind you of the jaw-dropping lavish style of the recent blockbuster movie. 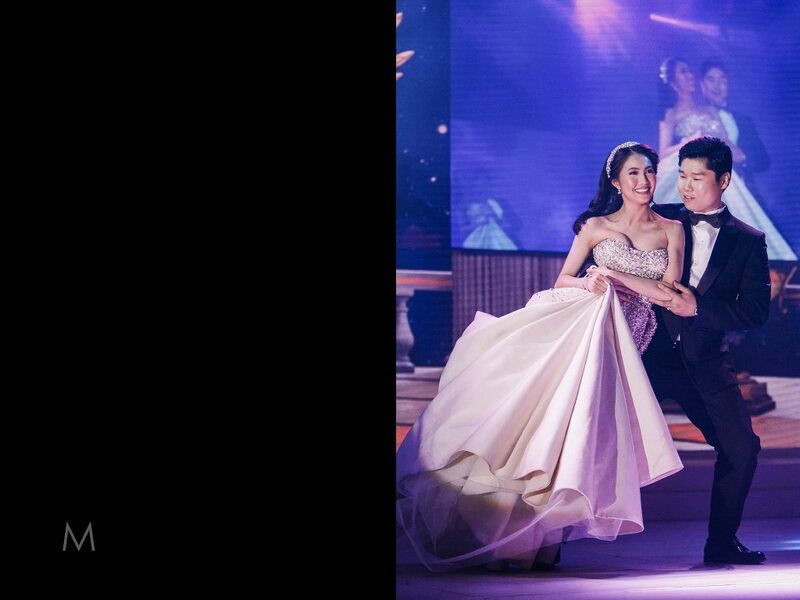 The lovely bride, and Miss Chinatown 2016, Shirly Vy, walked down the aisle wearing a gorgeous custom-made gown by designer Ellie Saab. 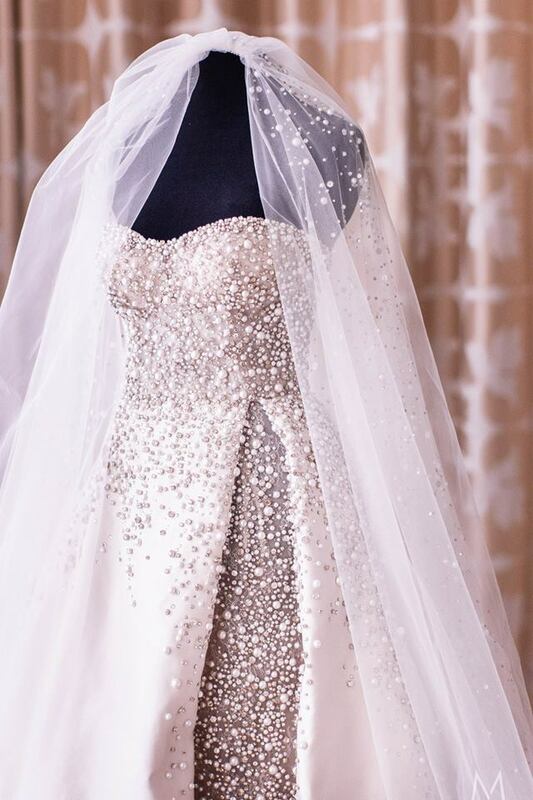 The estimated cost of her wedding dress was around $7,500 to $27,000, depending on the design. While the bridesmaids wore creations by Elizabeth Hallie Design. 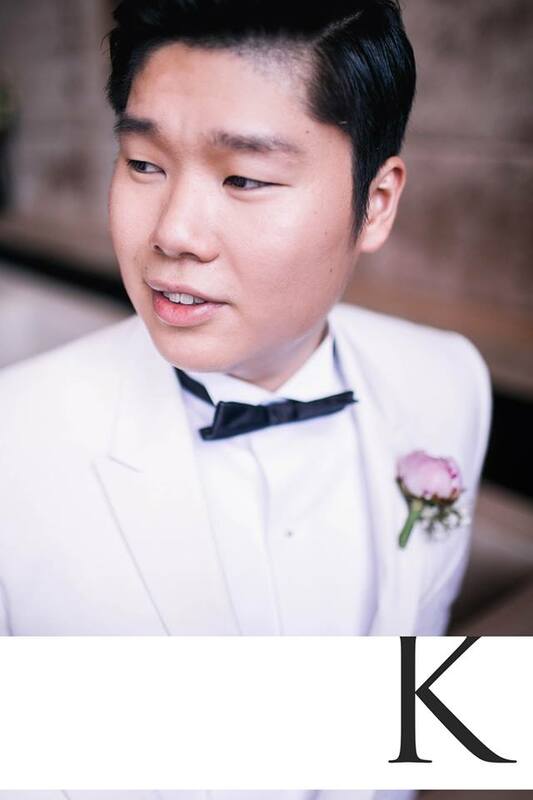 The groom, on the other hand, looked dashing in his black and white suit from Dior. 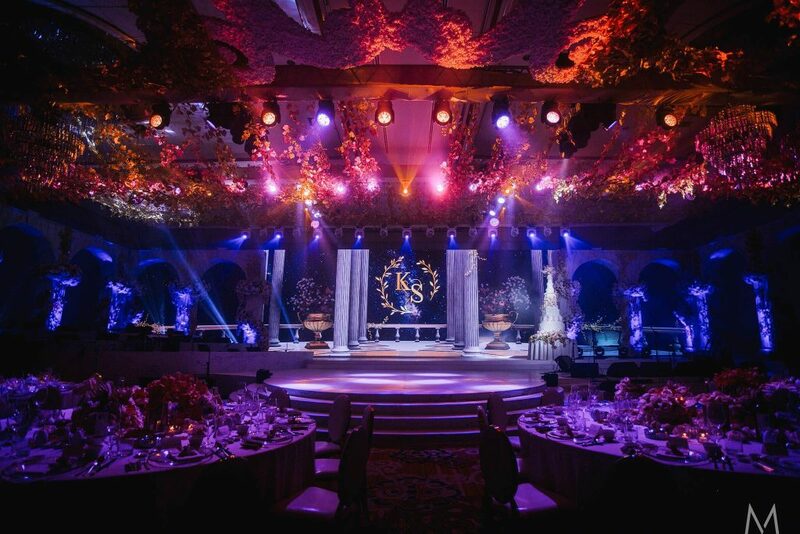 The elegant feel of their celebration was carried over to the reception venue at the Grand Ballroom of Solaire Resort and Casino, where the couple set a new bar for extravagance. The ballroom was converted to a Geek-inspired garden and their wedding cake was 11-foot, a massive LED wall screen, the chandelier also adds brilliance to the place. 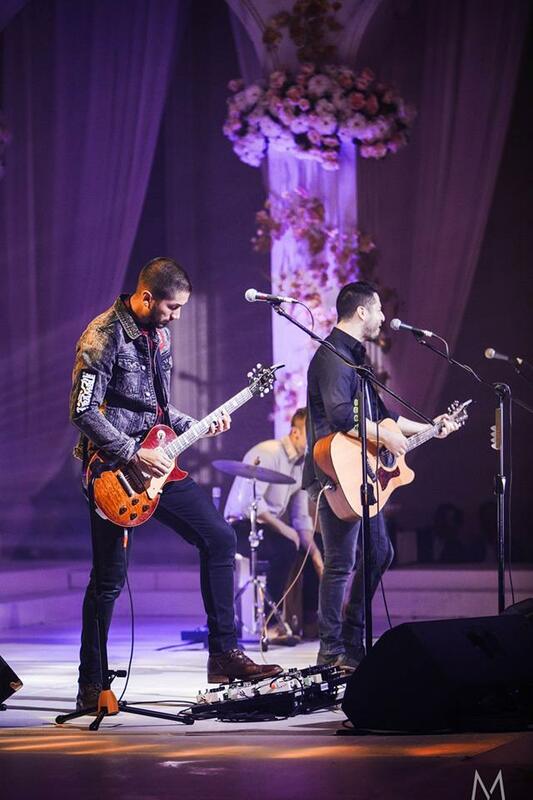 Furthermore, the guests were entertained by the international band Boyce Avenue who performs at the reception of Kevin and Shirley wedding. 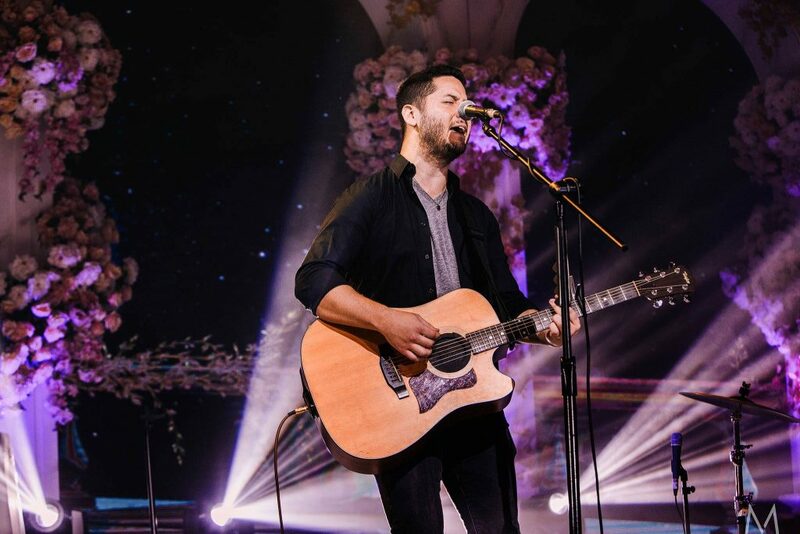 Based on the report the American band took a short break from their US tour to perform at their wedding. They sang Unchained Melody and Say You Won’t Let Go, among others, for the guests. The guests also enjoyed live performances of the Manila Philharmonic Orchestra.